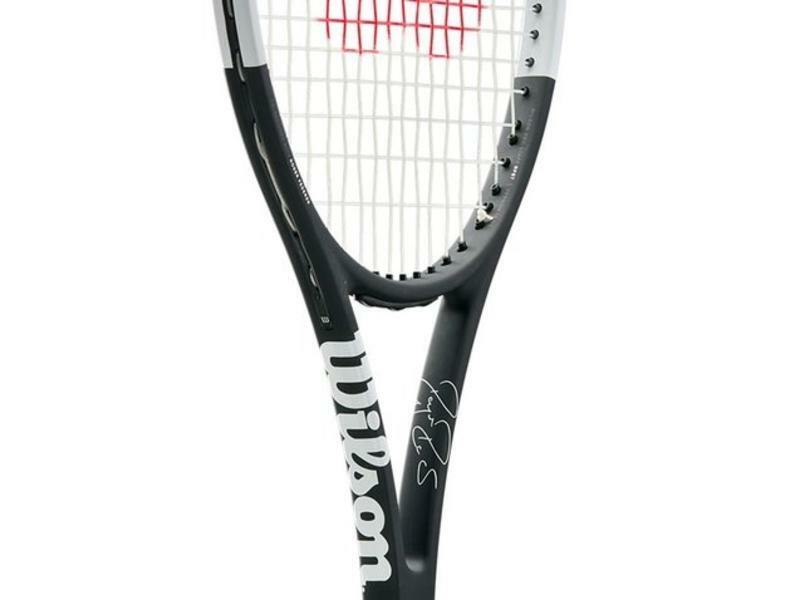 Co-designed with Roger Federer, Wilson keeps things simple with this Pro Staff RF97 Autograph release. 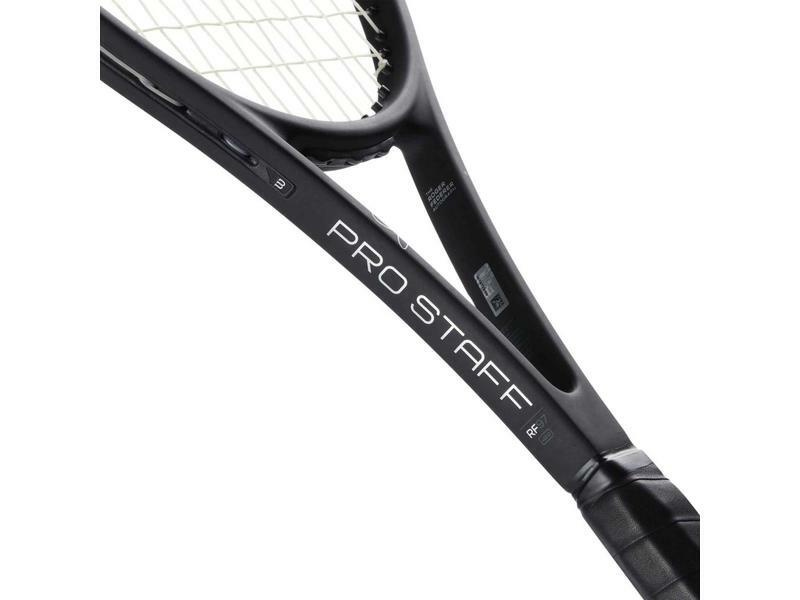 One of TennisTopia's most highly recommended racquets, the highly respected Pro Staff RF97 is back in black & white. The full tuxedo look, which is what the former RF97 attempted, is fully realized in this 2018 version. 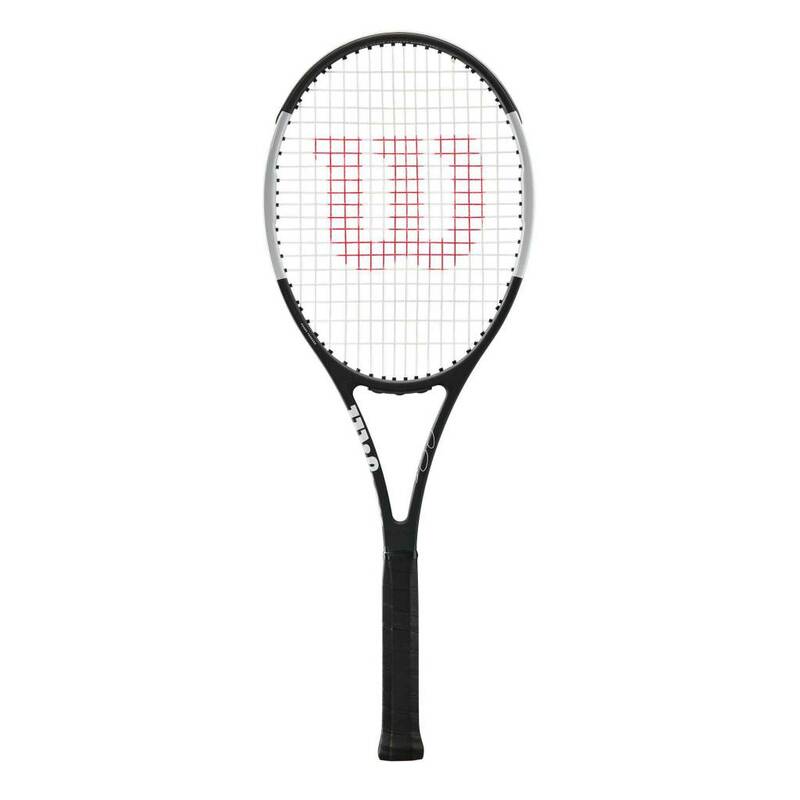 Keeping with its 16x19 open string pattern, this racquet continues to provide the precision, playability and feel you can rely on from the Pro Staff series. 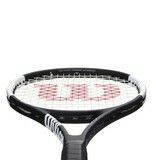 The braided graphite/kevlar composite, headlight balance, thin beam and weight continue to give you that classic feel. 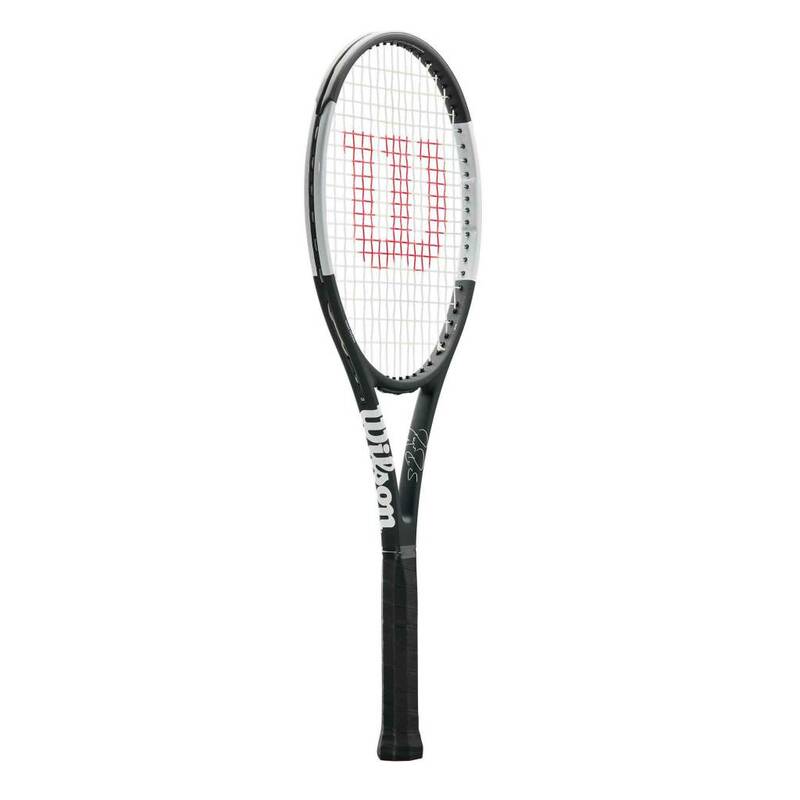 Wilson's RF97 has a tapered beam when compared to the classic Pro Staff 6.0 85, giving this Pro Staff more power than most other traditional player's racquets. 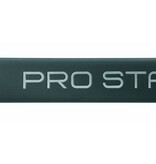 At 12.5 ounces strung, this heavyweight gives you all the plow-through and stability you need. 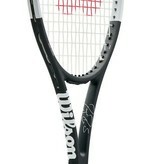 The RF97's ability to redirect heavy shots and serves is nearly unmatched. It maintains absolute precision on those hard slices, while also giving the player all-court aggressive and defensive capabilities. 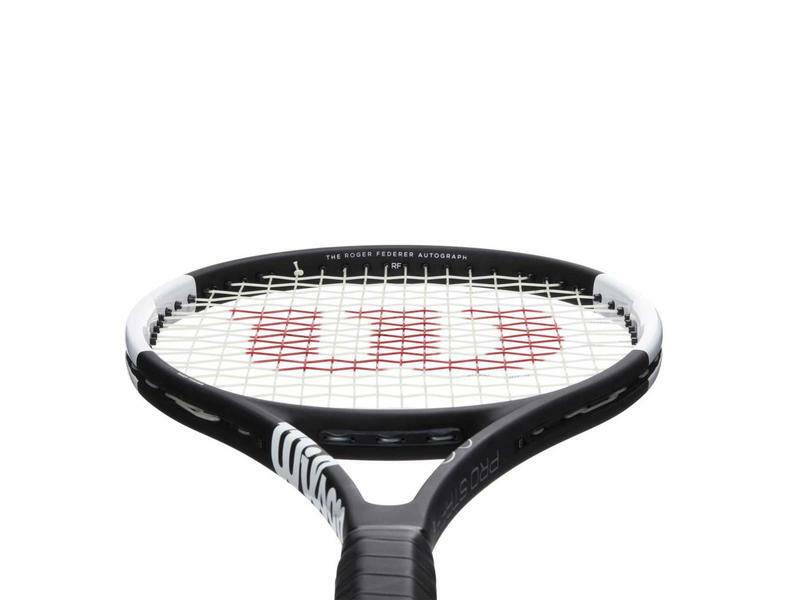 Engineered with a 9 point headlight balance, the RF97 is surprisingly quick for a 12 oz.+ racquet. 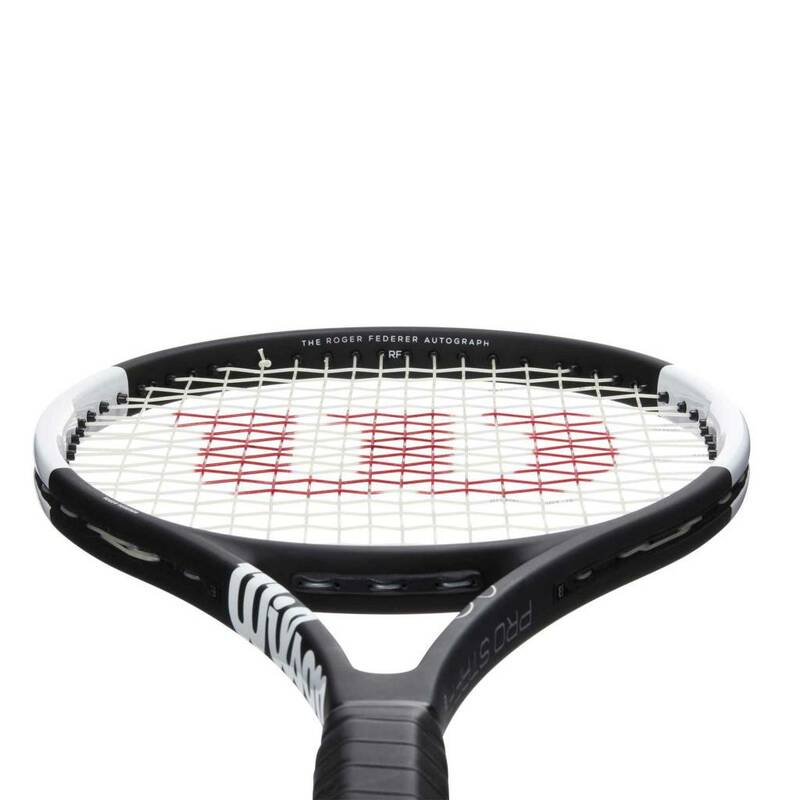 Championed by Federer, the RF97 is able to give both extreme top spin and absolute precision as made evident by the G.O.A.T. himself. 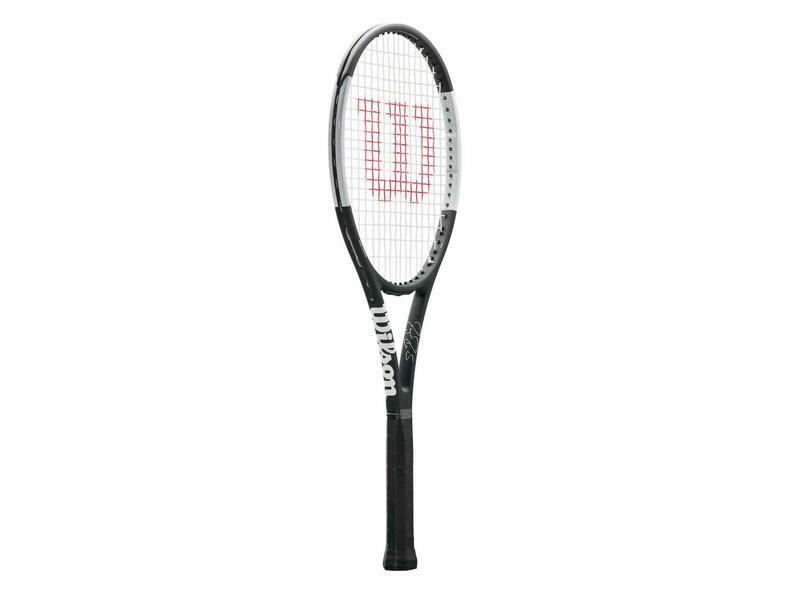 There may be no better weapon on the court, than the RF97. 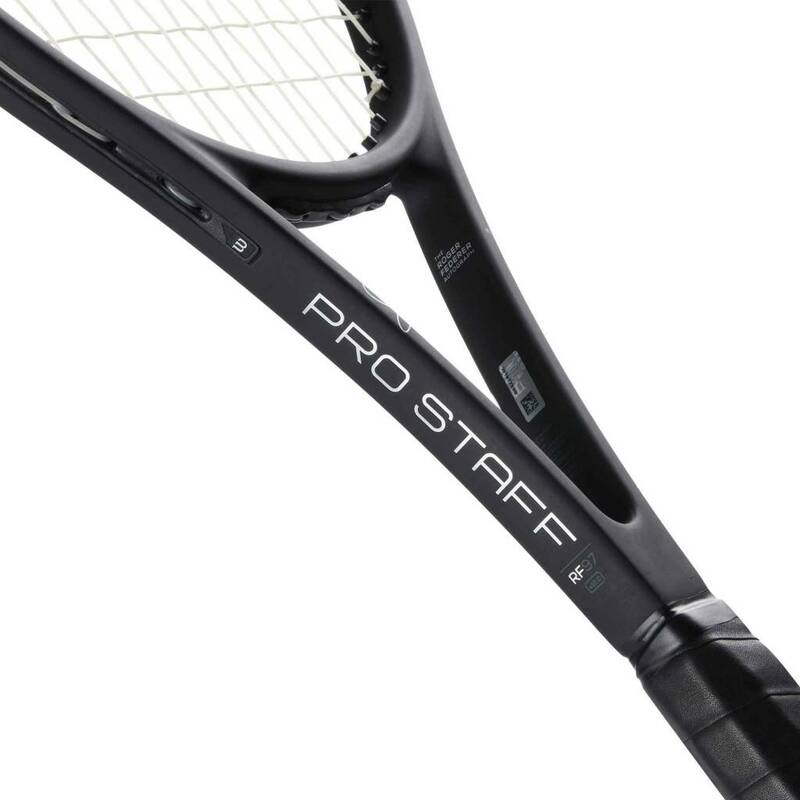 The Pro Staff RF97 Autograph remains not only relevant to today's modern game, but paves the way ahead. 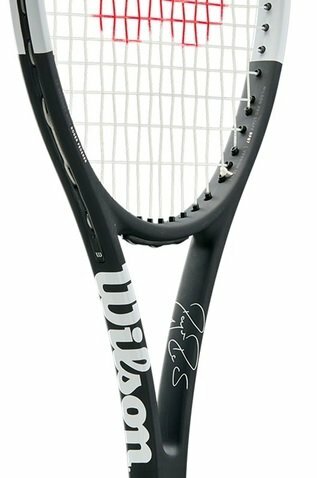 For experienced players, this racquet is a must try. 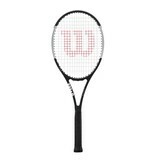 The new Black and White Pro Staff aesthetics with the laser printing give precision and elegance to the surgical racquet. 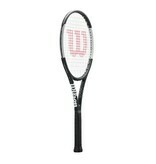 The racquet comes with Wilson's Pro Leather Grip. 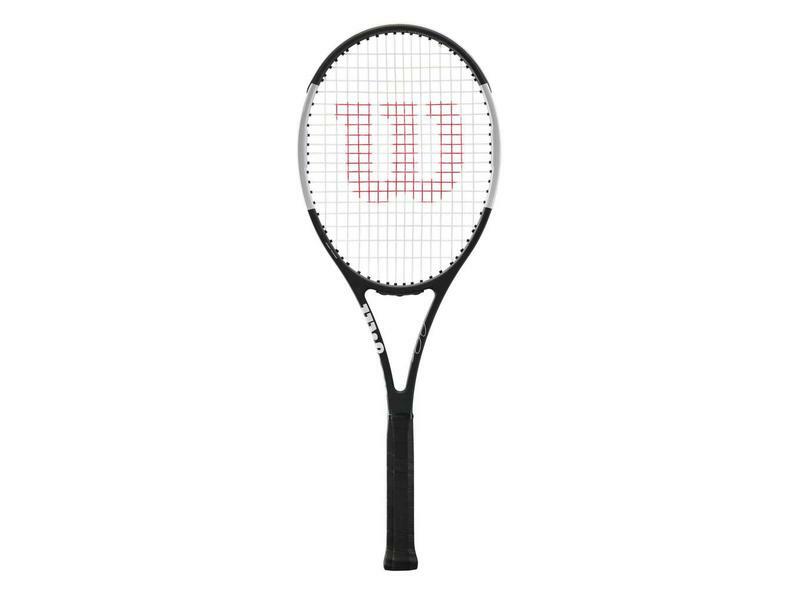 This racquet is for the player able to wield the weight and provides you with the ultimate in stability, feel and playability. 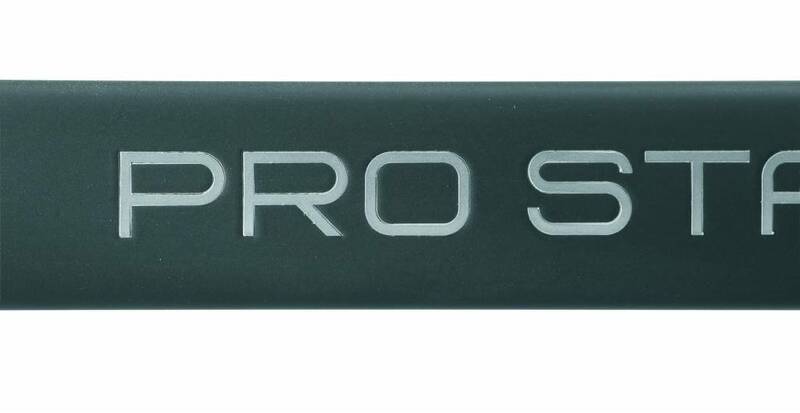 The Pro Staff also comes in 2 lighter versions, 1 of which includes Countervail dampening technology. 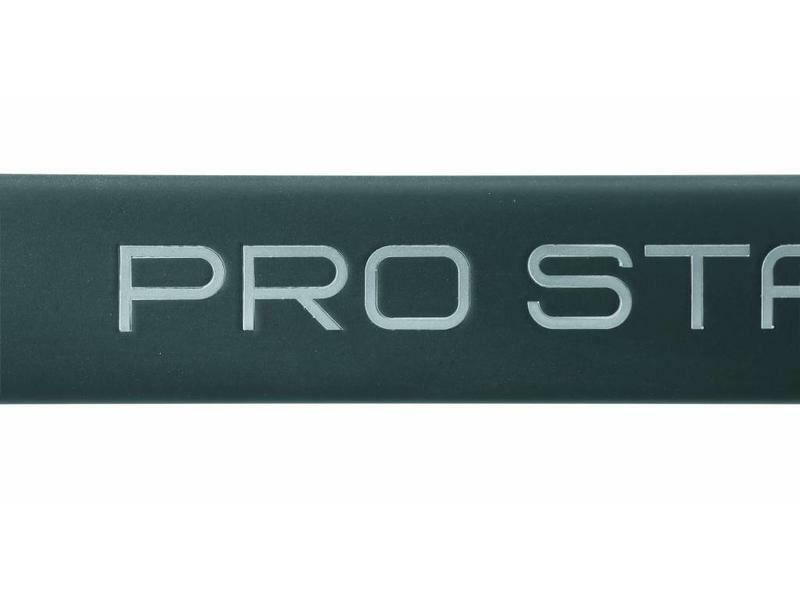 See the Pro Staff 97C @ 11.5oz.